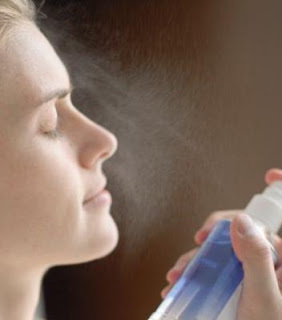 A little kept secret that many French women like to do is keep a little spray bottle at a hand's reach. This is such a great tip especially since we here in UAE are feeling the high heat of summer and our skin tends to dry up due to the humidity as well as the 24/7 air conditioner. The secret is to fill a spray bottle with your favorite rose water or tonic and spray it all over your face whenever you feel your skin needs to be refreshed. Using rose water not only will make your skin refreshed but it will also make the color unified. Over time you'll begin to notice that your skin color is one color instead of having different skin pigments in different areas around the face. Try it ladies and let me know your results!